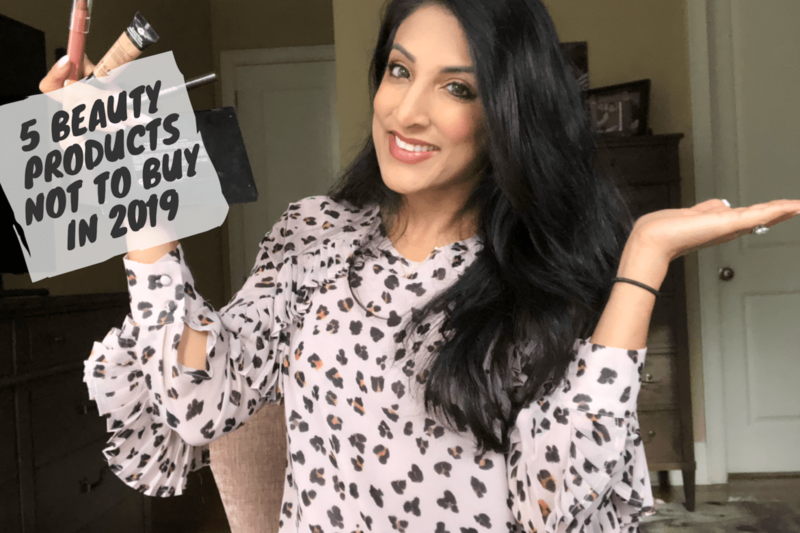 Do Not Spend Money On These 5 Beauty Products in 2019! Sometimes we have a tendency to ONLY share things that we love on the blog. This past year, Chicks And Salsa, as a platform, had allowed us to be exposed to and try so many beauty products that I could not help but do a write up on things that I will NOT be buying in the new year. I love trying new things and sharing my thoughts on them but once in a while I slip up and buy something without looking at reviews and regret it. It brings me no pleasure at all to say anything negative about companies that have great collections beyond these products, but if I can save you an average of $20 this year – I am cool with it. I have used this Too Faced product for YEARS but felt frisky one day and decided to grab for something new and boy did I regret it. The NYX Doll Eye wand is flimsy and the ‘brush bristles’ are soft so the lashes don’t separate as well as they do with my go to mascara. I won’t be making this mistake again anytime soon. This one pains me to share because I literally love Farah Dhukai and have followed her rise to Insta-stardom over the past 7 or so years. But other than the fact that this product “looks cool” or is “fun to apply” –if you wear full coverage make up it literally does nothing for you. Instead grab for the Laura Mercier Hydrating Foundation Primer which really gets into the creases of your face, truly priming you skin for a smooth foundation application. If you are going to layer up, consider skipping the Farsali Unicorn Tears just sayin’. Shop Morphe eyeshadows pretty much instead of EVERYTHING else if you are into eye shadows that pop. Eye shadows are NOT what they used to be, and as an owner and user of ALL THREE naked palettes I was speechless when I discovered the Morphe collections that are so bold, they need little to no layering. Get glammed up with this palette any time,any day. For a more natural finish, I still prefer the Urban Decay Naked palettes (The Second One is my fave). But if you are going to invest in a palette get more bang for your buck with a brand that has literally thousands of five star reviews. Although I am truly obsessed with Neutrogena products (as you can see here and here), these clean make up lipsticks have ZERO stay power. They look and feel great, but only last five minutes—what is the point?! Burts Bees offers a glamorous and affordable alternative that is oh so worth it. It is creamy and smooth and offers up to 8 hours of color! I know I don’t usually blog about beauty, but I did feel like I HAD to say something. Do you all agree with me on some of these? Is there something else you recommend? Let me know, I’d love to hear it!